CAMPGROUND NAME: Crabtree Meadows or Crabtree Falls, depending upon where you look. 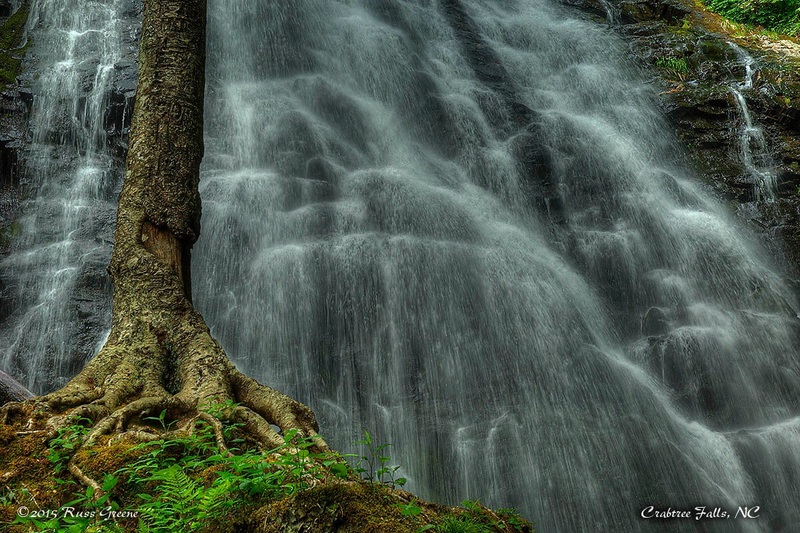 The NPS web page lists it as Crabtree Falls but the campground map available at the campground calls it Crabtree Meadows. LOCATION: Along the Blue Ridge parkway in NC. Southwest of Little Switzerland, northeast of Asheville. RESERVATIONS ACCEPTED: The NPS web site indicates that some sites are reservable through Reacreation.gov, but Recreation.gov does not seem to list the campground. I’ve pointed this out to the NPS in an email but as of this writing I have not heard back. CAMPGROUND WEB SITE. All of the NPS campgrounds along the Blue Ridge Parkway are on this page. HOSTED: Yes, but not all the time. There were no hosts in the campground when I arrived on May 14. Charlene, my RV, at home at Crabtree Meadows. You can see that the “pill-thru” is really a turnout. That’s the restroom on the right. The RV loop encircles an area with trees, the picnic tables and fire pits for each site as well as the centrally located restroom. PULL THRU: Yes, in the sense that the sites are turnouts along the roadside. MAXIMUM RIG SIZE: I saw no specifications but site 21 could easily handle a 40′ rig plus towed vehicle. I was in #20 which should be able to handle a 30′ rig plus towed. TENTS: Loops B & C are for tents. LEVELNESS: Close, but no cigar. 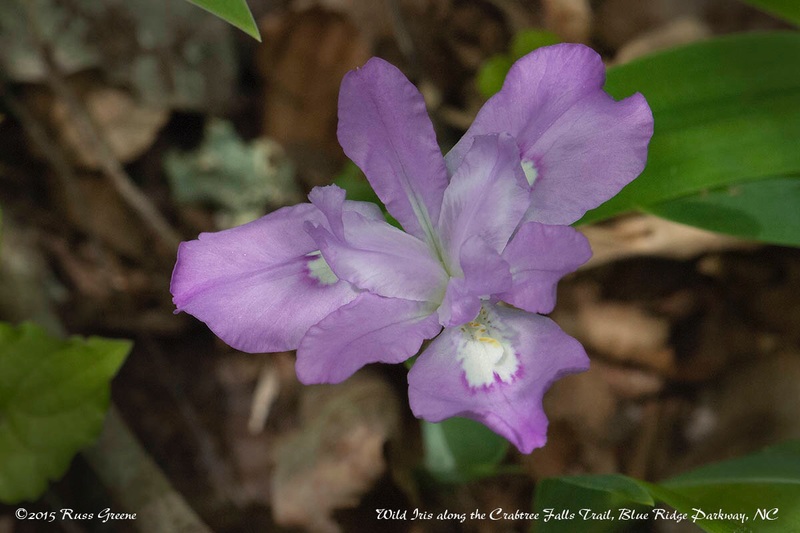 I came across this beautiful little wild iris while hiking along the Crabtree Falls trail. It was about an inch and a half across. My AT&T iPhone 5s showed No Service whereas my Verizon iPad air showd 1-2 bars and LTE with a data download speed of about 3 Mbps at times. At other times speed slowed to a crawl and the connection barely usable. This view looks across the grassy field in the center of the RV loop to the far side. Groceries: I don’t know on this one… better come here with food! 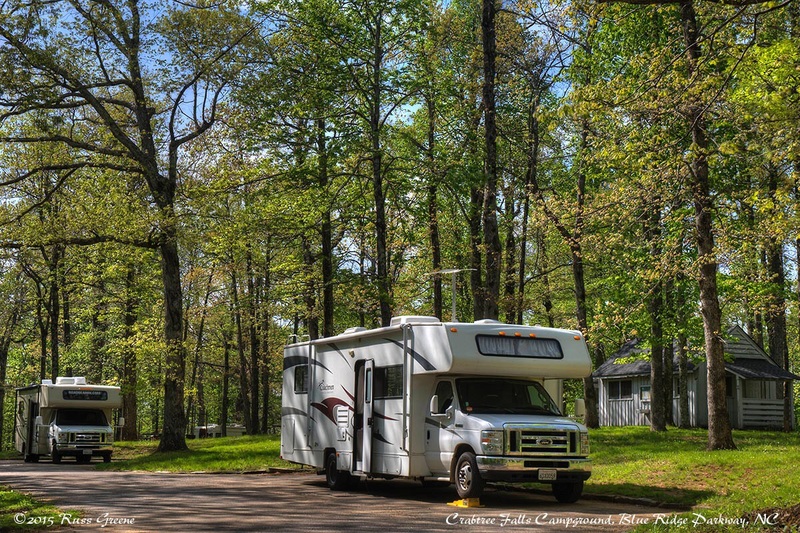 RV Parks: Mountain Stream RV Park, Marion, North Carolina and Spruce Pine Campground, Spruce Pine, North Carolina. There are sever different kinds of options in all directions but they may take 30-60 minutes to get to. 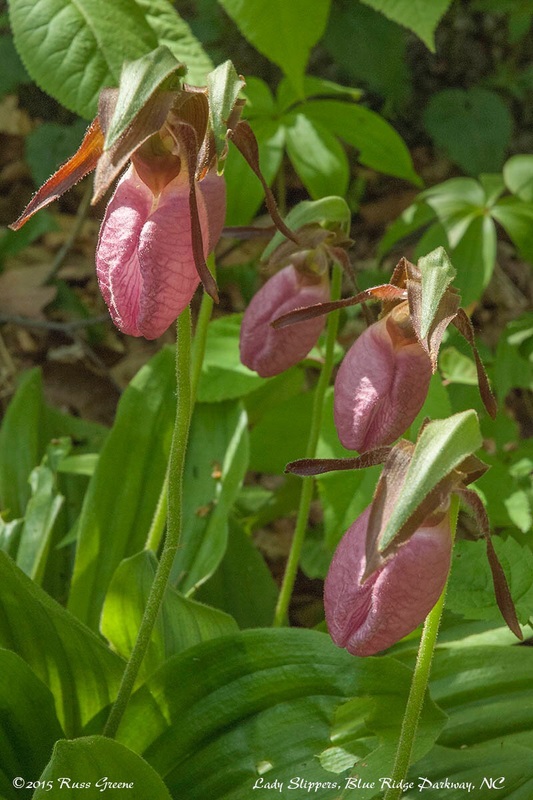 Some Lady Slippers were in bloom by one of the trailheads to Crabtree Falls. There were 7 growing and blooming in one spot which I’m told is unusual. Crabtree Meadows Campground A.K.A. Crabtree Falls Campground is located along the Blue Ridge Parkway (BRP) in the Blue Ridge Mountains, part of the Appalachian Mountains chain. I’m not sure what the nearest town may be but it would be small–the BRP is a two lane road that runs through the mountains. The campground is off the parkway some distance and I noticed no road noise. It is in a forest of tall deciduous trees so it will be relatively shady after they have leafed out in spring. They were still working on this in mid-May when I was there. There are no hookups except for the hosts but there is a dump station with potable water. The restroom in the RV Loop (Loop A) was without hot water or any way to dry your hands so I gave it a failing grade even though it was clean enough. A couple of camping neighbors said they picked up a flier here at the campground that said it was closed. An NPS ground crew worker here said that it had been closed for four years but that it recently reopened. Between the NPS web site referring us to Recreation.gov for reservations, the latter having no listing for the campground, the Outdoor Guide saying what it says and what I actually found when I got here, all providing for different stories, it’s, well, confusing. Also note the the NPS map of the parkway as well as other literature gives Milepost numbers for the locations of the campgrounds and other things along the BRP. Don’t expect to see any mile markers along the roadside, however. I looked for them occasionally but never saw any. Go figure. 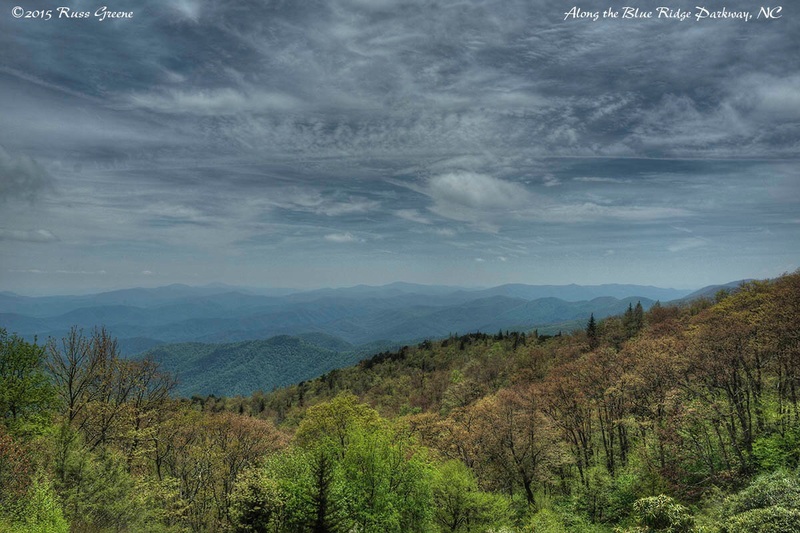 In this view of the mountains from the Blue Ridge Parkway you can see why the mountains got their name: the atmospheric haze which is caused to some extent by the trees themselves–they release hydrocarbons. It’s gotten hazier in more recent times as the pollution caused by man has contributed to the haze. 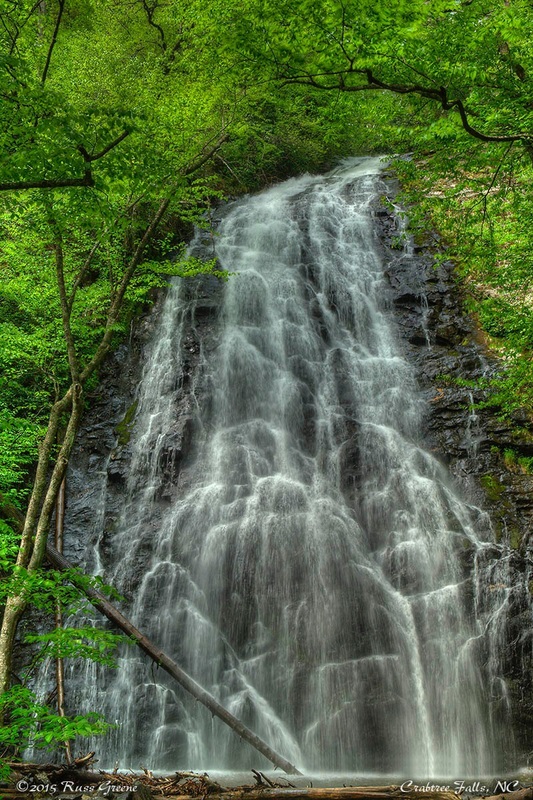 A 2.5 mile loop hiking trail leads to Crabtree Falls from the campground. 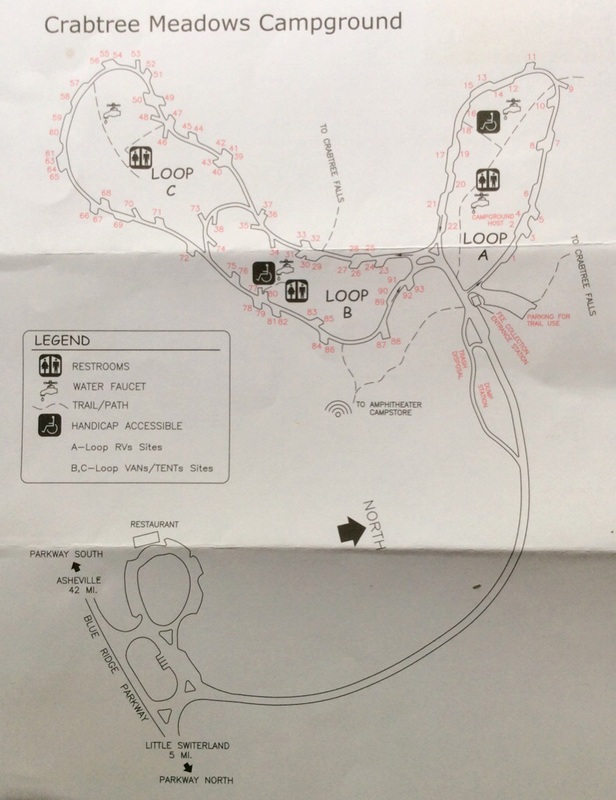 One end of the loop trail is found in tent Loop B and the other at the parking area near the kiosk at the entry to the campground. If you hike from the latter to the falls and back the total distance is 1.8 miles. A day use area is located at the intersection of the BRP and the campground road and a trailhead to Crabtree Falls can be found there as well. It’s about a 1.6 mile hike and I presume 3.2 miles round trip. Information I came across said the trail is strenuous. I hiked it and I got huffing and puffing a little but I wouldn’t call it a very strenuous trail myself. The hike was lovely, but again it was spring and the trees were mostly full of leaves. 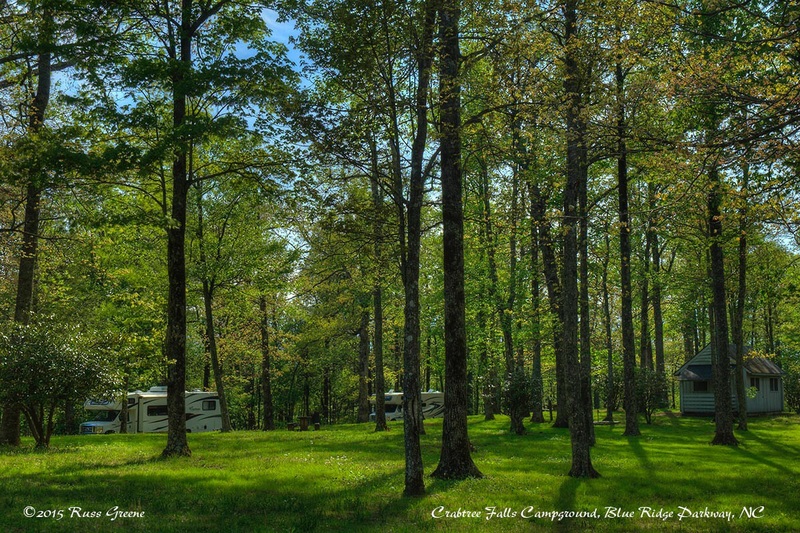 I stayed at this campground as I drove the BRP from Asheville north to points yet unknown, perhaps all the way to Waynesboro VA where it connects with the 105 mile long Skyline Drive that continues north through the Shenandoah National Park. At $8 with my Senior Pass it was a good place to stay a couple nights and the hike to Crabtree Falls provided a good way to get some exercise and take some photos. Holy frijoles – was I confused. I was searching for info on the Virginia Crabtree Fall hike (close to the Blue Ridge but not on it)…this looks lovely too. 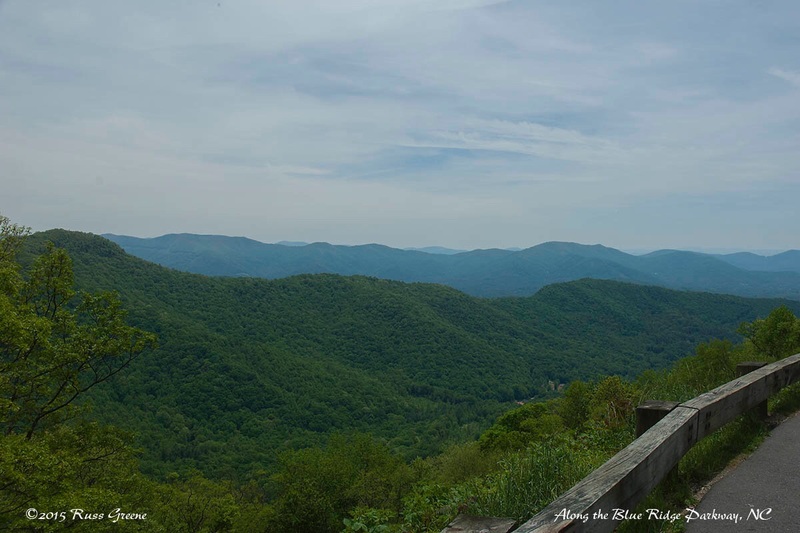 Outstanding review of a Blue Ridge Parkway facility. Best I have ever seen. Thank you.